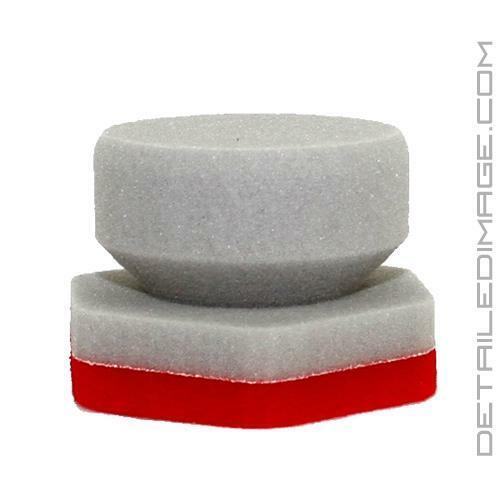 The DI Accessories Precision Waxing Applicator makes applying your favorite wax or sealant super easy! If you are one of the detailers that still enjoys applying a layer of wax, you know that finding the right applicator can be tough. Some do not fit into the jar, some are hard to hold, some can even soak up too much product. 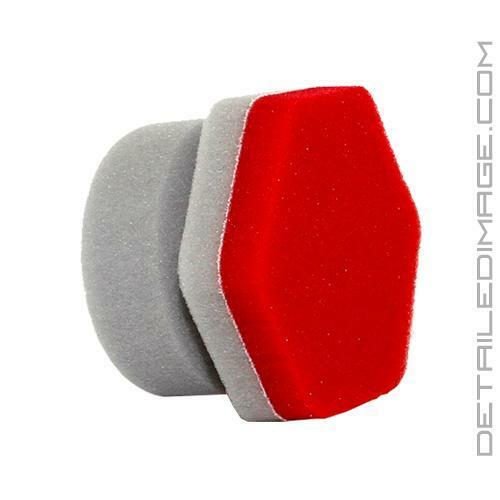 The Precision Waxing Applicator features a red bottom that is super soft and safe for almost all paint types. It will fit into various wax jars and the six sided shape helps you get into even the smallest areas, giving you complete control of exactly where you want your waxes applied. This applicator is super easy to clean and will last for many protection applications to come. Grab yourself a DI Accessories Precision Waxing Applicator and give yourself complete control of your wax applications! Have you ever been working with not just an applicator designed to apply waxes or sealants, but an applicator for any detailing step that just was hard to handle? Maybe it was just hard to hold, or worse, it kept slipping out of your hand, causing you to accidentally come into contact with some trim pieces that do not react well to waxes (rubber, textured plastics, etc.). Now I know what you are saying, "Why didn't you tape off the trim first?" While that certainly should have been done, sometimes we just run out of time or are in a hurry to finish and some precaution steps are skipped. This is certainly not ideal, but it unfortunately can be common for many detailers. No one wants to have to perform extra steps in the detailing processes, so to help cut down on any mistakes and allow yourself to apply waxes to the exact areas you desire, the Precision Waxing Applicator is a life saver. This applicator takes the simple idea of a handle and applies it directly to an applicator pad, no pulling different applicators or pads on and off, the applicator is built right into the handle. 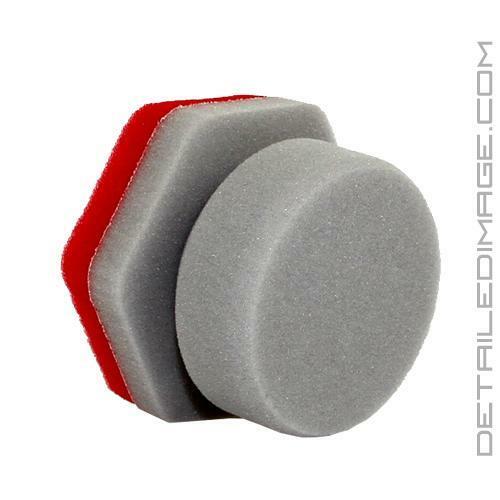 The durable gray, yet soft and safe foam handle, is super light, yet sturdy and easy to hold. The six sided shape helps you get into even the smallest areas for a thorough cleaning and really helps enhance results with ease of use. The DI Accessories Precision Applicators also come in two other great options, Dressing (Black) Applicator and the Bug Scrubber (Yellow). Each option performs a different task, but features the same great handle and design! These are my favorite applicators. They fit great in my hand. Very comfortable.